The PX-MiEV II is a two-motor plug-in hybrid system running on a lithium ion battery and a 2.0-liter, four-cylinder gasoline engine. TOKYO -- Mitsubishi Motors Corp. will unveil a close-to-market version of a plug-in hybrid crossover due next year and its new global small car to replace the Colt at this month's Tokyo Motor Show. 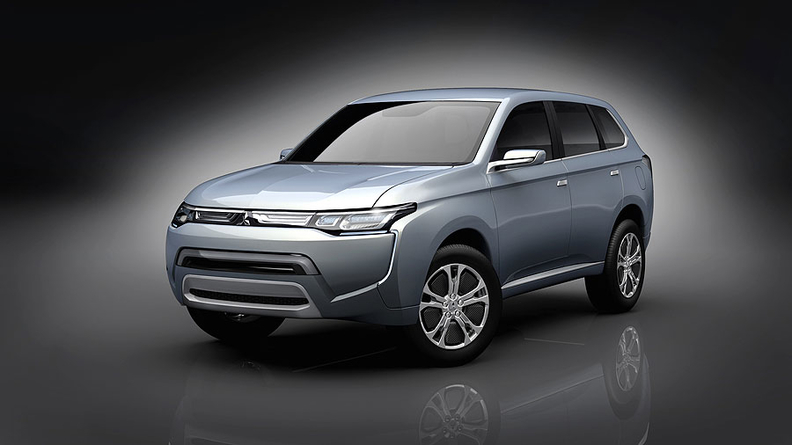 The PX-MiEV II hints strongly at the hybrid version of the Outlander crossover that Mitsubishi plans to launch in the fiscal year ending March 31, 2013. That vehicle is the next step in the transformation of Mitsubishi's lineup with an assortment of electrified drivetrains. The PX-MiEV II is a two-motor plug-in hybrid system running on a lithium ion battery and a 2.0-liter, four-cylinder gasoline engine. One motor powers the front wheels, the other the rear ones. Mitsubishi is targeting fuel economy of 60 kilometers per liter (140 U.S. mpg) under Japan's testing cycle, which is not comparable to the U.S. or European fuel-economy measures, and says the vehicle can cruise 31 miles (50km) in electric-only mode. Another feature of the drivetrain is that it can operate in either series or parallel hybrid mode. At lower speeds or when the battery is low, it can work as a series with the engine acting as a generator to recharge the battery, but not to power the wheels. At higher speeds or when the battery is topped up, it acts as a parallel hybrid, with the engine recharging the battery and moving the wheels. Under the floorboards is a lithium ion battery with about the same capacity as the i electric vehicle that goes on sale in the United States this month. But because the PX-MiEV II is heavier and equipped with all-wheel drive, it doesn't achieve the i's electric-only driving distance. The Mitsubishi i has an EPA-rated driving range of 62 miles on a full charge. The Mirage relies on an improved engine with idle-stop technology, weight loss and better aerodynamics to boost its fuel economy. The global small car enters production in Thailand next year and is bound for the United States as early as 2013. 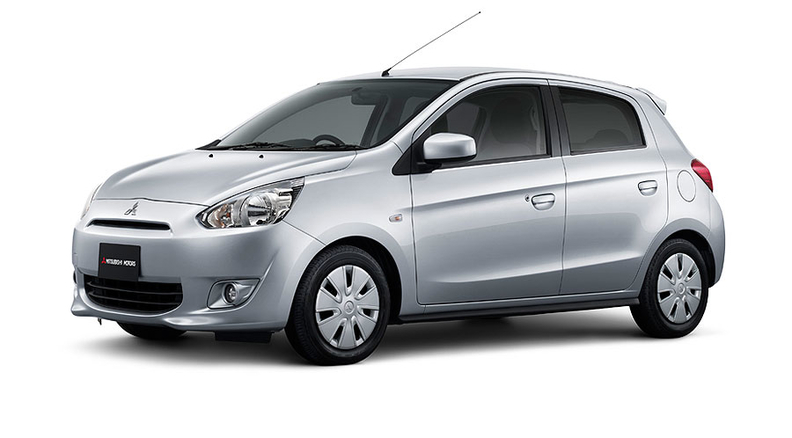 Mitsubishi has christened it the Mirage, reviving a subcompact nameplate that was dropped in the early 2000s. The hatchback replaces the Colt, which is being phased out. Mitsubishi is shooting for fuel economy of 70 U.S. mpg (3.36 liters per km) and a sticker price around 1 million yen ($12,800). The Mirage relies on an improved engine with idle-stop technology, weight loss and better aerodynamics to boost its fuel economy. It is 10 percent lighter than the Colt. It is powered by a 1.0-liter three-cylinder engine mated to a continuously variable transmission. Mitsubishi plans to start manufacturing the Mirage at a new factory in Thailand in March. But the massive flooding in that country may push back the start of production.